Economy and Trade Minister Naftali Bennett, who heads the right-wing Jewish Home party, on Monday called the creation of a Palestinian state a delusional act. "The creation of Palestinian state within the State of Israel is a delusional act because it supports replacing coexistence with autonomy," he said according to Israel Radio. Bennett said that while his party would not stop Justice Minister Tzipi Livni from negotiating with the Palestinian Authority, when the Knesset opens its winter session Monday, it would pass the bill requiring a referendum on any peace deal that would relinquish "sovereign Israeli territory." Bennett also said that his party insists that the Palestinians recognize Israel as a Jewish state in order to prevent the possibility of Israeli Arabs demanding another state in Israeli territory. Municipal elections in most countries are not a big deal. But the Jerusalem municipal elections are a big deal for Palestinians, who have boycotted every election held in the city since 1967. Ever since the Israelis occupied east Jerusalem and unilaterally declared that the city's two sides are now a “united city,” Palestinians have refused to field candidates or vote for the city council and mayor. This has resulted in Jewish Israelis continuously gaining every seat on the council of a city with between 250,000 to 350,000, depending on whether Palestinian Jerusalemites on the other side of the wall are included in the count. “Participating in these elections will be considered normalization with the Israeli occupation authority, which means legitimizing the annexation of Jerusalem,” read the statement. The call on Palestinians not to participate will certainly be heeded. In no previous elections have Palestinians in Jerusalem participated with numbers more than single digits. 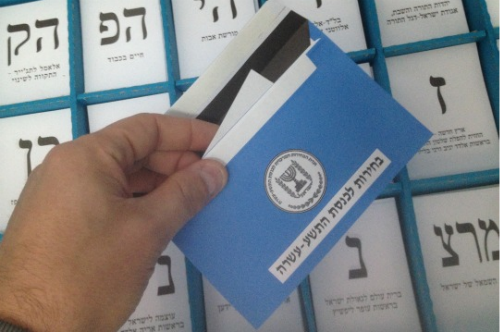 Normally, Palestinians living under occupation would not even be qualified to run in any Israeli-run city elections, but in Jerusalem where Israeli law applies, Palestinian holders of permanent residency cards can vote for city council even though they would need to become citizens to vote for the Israeli Knesset elections. In similar struggles around the world, local communities have often chosen to avoid or boycott national general elections while agreeing to participate in local elections, which have less of a political connotation and more of a service orientation. 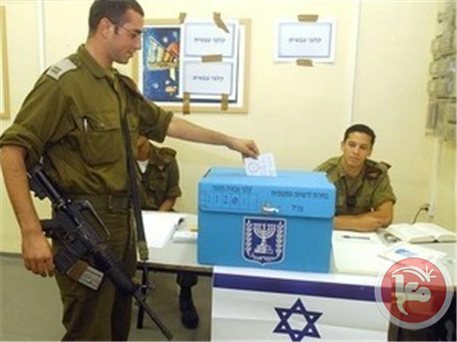 Islamist movements in Israel and Jordan, for example, have participated in local polls but boycotted national ones. But in Jerusalem, everything from picking up garbage to the sewage system to schools and hospitals is political. Discrimination in planning, building and land expropriation has been thoroughly investigated and documented by human rights organizations. The issue of elections in Jerusalem has perplexed Palestinian politicians and public activists. On the one hand, there is unanimous agreement that participating in the elections by running a list of candidates or by a considerable number of people voting would be seen as legitimizing the unilateral Israeli annexation of the holy city. On the other hand, 46 years of boycotts have allowed Israeli Jewish mayors and council members to have a free hand in spending the city’s budgets, approving city plans and making a significant impact in the city's life. Palestinians insist that the Israeli policy in Jerusalem is clearly meant to keep Palestinians a small minority in the city. Israeli planning policy has choked housing in Arab neighborhoods, forcing many to build homes without a license or leave the city. Once an unlicensed home is built and discovered, Israeli demolition orders are issued. Law in Israel requires the owner of an illegally built house to demolish it himself or risk paying a further fine in addition to the cost of the destruction of their homes. In 1988, respected Palestinian newspaper editor Hanna Siniora decided he wanted to field a list of Palestinian nationalists for the city’s municipality. 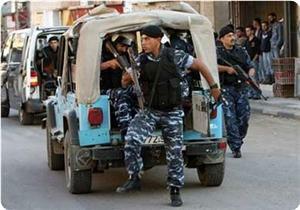 The timing was bad as the Palestinian areas were witnessing the first ever uprising. As a result of the intifada and the anger of Palestinians against the status quo, the idea was short-lived. Other factors also added to the pressure on Siniora. Unknown assailants torched his car outside his Beit Hanina home and leaflets denounced his call, resulting in the death of the idea. Ironically, it was Jerusalem that ignited the second intifada. Palestinians pay a high city tax called arnona. Palestinian Jerusalemites who do not pay the tax or who choose to live outside the city limits risk losing their residency and right to live in the city. 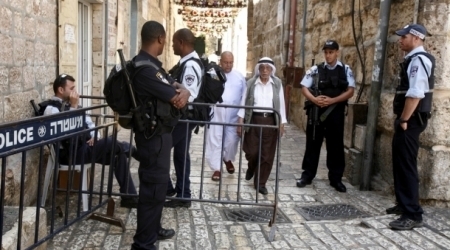 Israeli policy to limit Palestinian residency in the city of Jerusalem is seen by many as a form of ethnic cleansing. Some right-wing Israelis call their own policies toward Jerusalemites the “transfer policy,” in reference to their attempts to use administrative acts to cause Palestinians to "transfer" outside Jerusalem and also outside the Palestinian areas. The status of Jerusalem has been approved in the current elections as one of the permanent status issues that negotiators are expected to tackle within the allotted nine-month period of peace talks. Many experts feel that the issue of Jerusalem is probably the hardest nut to crack in the complicated Palestinian-Israeli conflict. This article was originally published on Al-monitor. View original post here. The Hamas Movement strongly denounced Fatah spokesman Ahmed Assaf for fabricating lies and making false accusations against head of its political bureau Khaled Mashaal. Hamas stated on Sunday that Assaf used a news report full of lies and contradictions published by the Lebanese newspaper Assafir to attack Mashaal. "Those accusations are unfounded and unreal and they are pure fantasies existing in the mind of their creator and reflecting a state of confusion and misdirection which they are living in after their wagers on the frivolous negotiations and the option of settlement have gone awry," Hamas emphasized. It affirmed that Fatah leaders have no manner of dealing with their political rival and their remarks always reflect their moral decline and vulgarity. 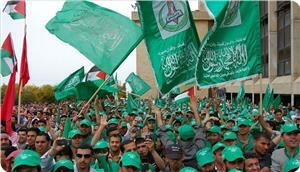 Hamas movement confirmed its adherence to the resistance as the only way to liberate Palestine and the holy sites. The movement in a statement on Monday hailed the prisoners and the resistance fighters and sent greetings to the Palestinians in the Gaza Strip, the West Bank and the 1948-occupied territories for their steadfastness in the face of the Israeli occupation. It also congratulated to the masses of the Palestinian people and the Arab and Islamic nation on the occasion of Eid al-Adha. MP Jamal Khudari, the head of the Popular Committee against the Siege, confirmed that more than one million people in the Gaza Strip are living on aid from international, Arab and Islamic institutions. 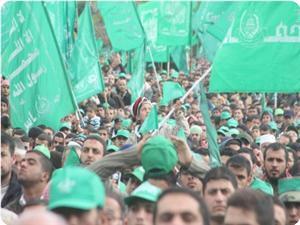 Khudari stressed in a statement on Sunday that this number is increasing due to the Israeli occupation and the blockade. He referred to the main causes behind the deterioration of the humanitarian situation in Gaza and the high rates of poverty and unemployment, pointing to the continued occupation since 1967, the blockade imposed since 2006, the restrictions imposed on the movement of people and goods and the prevention of the entry of basic necessities, which affected the economy. The MP said the Israeli blockade represents a collective punishment, punishable under international law because it deprives nearly two million people from their right to decent life, guaranteed under the international laws and norms. 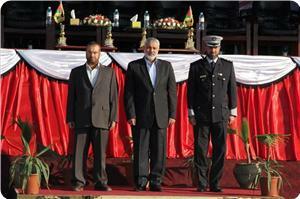 He stressed that putting an end to the crises in the Gaza Strip requires ending the occupation and the siege. 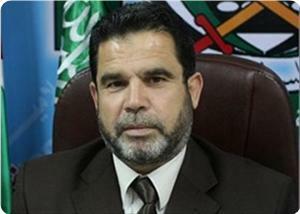 The leader in Hamas movement Hussein Abu Quaik stated that the PA security forces in West Bank do not perform their duties assigned to them for the protection of Palestinian citizens. 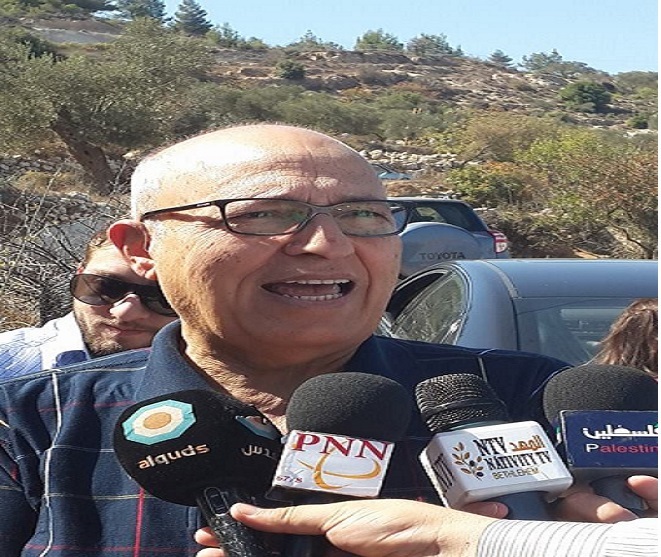 In a press statement issued on Sunday, Abu Quaik said that the PA security apparatus have been modified by the Israeli and US administrations in order to protect Israeli settlers and their settlements instead of performing its national role in protecting Palestinians. He pointed out that security coordination between the Palestinian and the Israeli authorities began since Oslo Accord in 1993, stressing that the Palestinian people is ready to fight the occupation. He described the PA forces' arrest and raid campaigns against resistance leaders and prisoners and martyrs' families in Jenin Refugee Camp as a heinous crime in violation of Palestinian values. The leader in Hamas movement condemned the PA large scale arrests against Palestinian youths for their political affiliation, calling for an end to political arrests and security coordination. He pointed out that a number of Palestinian political detainees in PA jails resorted hunger strike similarly to Palestinian prisoners in Israeli jails. The leader in Hamas movement Salah Bardawil denied disagreements within the movement concerning its relations with Arab countries and allies, stressing that his movement does not interfere in any state’s internal affairs. Bardawil told Quds Press that Hamas movement is defending the nation's dignity, saying that the movement runs very well its political relations with the Arab countries. He pointed that the entire nation is being targeted by the Israeli entity, therefore the Palestinian resistance and Hamas movement are defending the whole nation. The presence of Hamas movement in any country does not constitute a burden on the state, but rather an honor to it, he said, noting that the movement's relations with its allies led by Qatar and Iran are developing. The movement's relations aim mainly at serving the Palestinian cause, stressing that Hamas concentrates on its good relations with the Arab and Islamic peoples and the regimes that respect their people's will. The leader in Hamas movement condemned the involvement of some Arab and Palestinian journalists in the Israeli incitement campaign against Hamas, confirming its adherence to the resistance option. 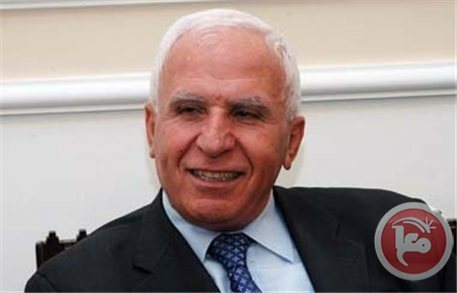 Palestinian premier Ismail Haneyya reiterated his government's position of not interfering in the internal affairs of any Arab country, especially Egypt. "We are just protecting our southern borders with Egypt and not interfering in its affairs because the national security of Egypt and Arabs concerns us and Gaza is an extension to the Egyptian, Arab and Islamic security," premier Haneyya stated during a graduation ceremony of police officers held in Gaza on Sunday evening. During his speech, Haneyya hailed the role of the Palestinian interior ministry and its members in safeguarding the internal front and the Palestinian community in the besieged Gaza Strip, especially during the Israeli wars. The premier also highlighted that the security in Gaza is based on some pillars, most importantly, the protection of the homeland and the population against any Israeli aggression. 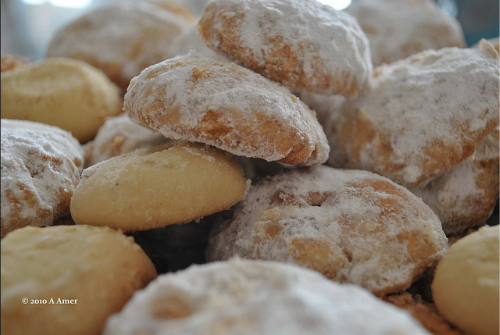 The Muslim Festival, Eid Al-Adha will start tonight at sundown. The celebration commemorates Ibrāhīm (Abraham) willingness to to sacrifice his son Ismā’īl (Ishmael) as an act of obedience to God. It is believed that God intervened, turning Ismā’īl into a sheep, thus Abraham did not slaughter his son. Many people celebrate by slaughtering sheep, goats, camels or cows, in symbolic remembrance of Ibrahim’s servitude. The meat of the sacrificed animal is divided into three equal portions, one for family, one for neighbors and friends, and one for those living in unprivileged situations. PNN wishes Muslims across the world a peaceful and joyous Eid celebration. 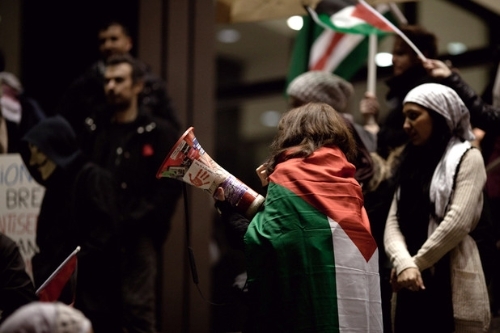 A United Kingdom-based group is stepping up advocacy for human rights and justice in Palestine. The Palestine Solidarity Campaign (PSC) is gathering support for a National Lobby of Parliament for Palestine on November 27, according to a press release on the NGO's website. 3) Respect for prisoners' rights and an end to Israel's illegal treatment of Palestinian prisoners, including children. While the most visible advocacy will happen at the British Parliament in London, organizers are encouraging supporters to meet with their MPs one-on-one to discuss issues. They believe international pressure is key if Israel is to change its policies. "It is our Parliament, they are our MPs - so let's show them they must respect Palestinian human rights if they want our support." A team from National Geographic listened Monday to Palestinian officials speak about the situation in the Palestinian areas, mainly those that remain under full Israeli control. The team met at the presidential headquarters with Nimr Hammad, political advisor to President Mahmoud Abbas, and other officials. Hammad complained that Israeli settlement activity is undermining peace efforts that aim to reach a final settlement with the creation of a Palestinian state. Presidential secretary Hussein al-Araj informed the delegation of the difficulty of the situation with Israel in control of more than 60 percent of the Palestinian areas defined as Area C according to the Oslo classification. Jamil Mtour, acting director of the environment authority, also spoke about the daily Israeli violation of the Palestinian land and environment. He said the Israeli authorities control the Palestinian natural resources in the West Bank and bury chemical waste and waste from the settlement in the Palestinian land causing serious harm to the West Bank environment and people. If the archeological sites in Gaza could talk, they would scream for help against the desecration to which they are being subjected by human hands. Some are being demolished, and new homes are built in their place. Others are being looted or neglected. The Muslim and Christian archeological sites in Palestine are hundreds, maybe even thousands, of years old. According to Palestinian historian Nasser al-Yafawi, however, they are being continuously desecrated in several ways: construction occurs on top of them, the government neglects them, they are stolen by Israeli occupation or looted by thieves and antiquities traders in Gaza. In an interview with Al-Monitor, Yafawi said that most of Gaza’s ruins are being looted by pirates or demolished in broad daylight to build houses on top of. He said that there is general ignorance about the cultural value of the ruins, and government employees tasked with protecting the ruins are not qualified to do so. One of the most important archaeological sites being continuously damaged is Barquq Fort in Khan Yunis in the southern Gaza Strip. It is considered the fifth most important Islamic site in Palestine. “Barquq is the first facility established by the Mamluks to consecrate their rule in the land of Palestine. It was founded by Prince Yunus bin Abdullah al-Daoudar al-Nourzi in the era of the Mamluk Sultan Barquq in 1387 and intended to be a point of convergence for traders crossing between Egypt and the Levant, in addition to being a military garrison,” said Yafawi. He showed that encroachments by citizens have left only 10% of the fort intact. The fort occupies an area of 16 dunams (14,5 square kilometers or 9 square miles ). He said people built their homes on large parts of the fort without being stopped by previous Gaza governments. In addition, many shops, garages and random stalls have recently been set up on the remaining parts of the fort’s walls. The president of the Al-Qala Heritage Association, Mohammed al-Farra, called for government intervention to stop the encroachments by citizens on the fort and warned that there is a real danger that the site may cease to exist. “Encroachment of housing construction on the fort started with World War I and continued when Egypt governed the sector, passing through the Israeli occupation, then with the rule of the Palestinian Authority and now after Hamas took over Gaza,” Farra told Al-Monitor. The association filed a lawsuit with the Supreme Court of Justice in Gaza to demand the removal of encroachments against the historic site and compel the minister of endowments to declare Barquq Fort an Islamic endowment. The suit was rejected for several reasons, however. Farra said that the authorities are neglecting and failing to preserve archeological sites and monuments. He pointed out that the Ministry of Tourism and Antiquities initially did not even list Barquq Fort as part of the archeological sites in Palestine. But they later redressed that. For his part, the official in the Ministry of Tourism and Antiquities in the Gaza government Mohammed Khalla said that the lack of material resources are preventing the government from averting encroachments by citizens who live on the fort’s grounds. “Unfortunately, when we tried to conduct a study to restore the historic fort, we found that most of the land within it was the property of legitimate owners. Previous governments and municipalities granted permits for people to build and live on the fort’s grounds. Now, we are forced to compensate the residents to get them to leave. The government doesn’t have the financial capabilities to do this though,” Khalla told Al-Monitor. Barquq Fort is not the only site that has gone neglected and unprotected. 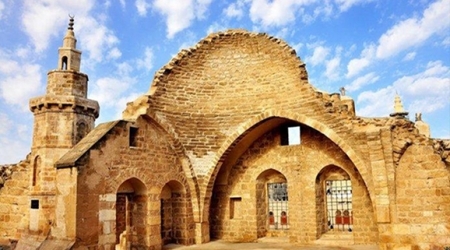 There is what appears to be “organized neglect” of most archaeological sites in the Gaza Strip, most notably Tallat Imm Amer, which hosts the oldest Christian monastery in Palestine, Saint Hilarion. The monastery was established in the third century, west of Nuseirat in the center of the Gaza Strip. 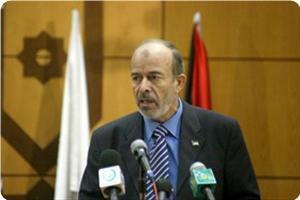 According to Yafawi, the ancient site is greatly neglected by the Gaza government. The site is vulnerable to looting by antiquities traders because it is not being protected and does not have a wall around it. The Gaza Strip, which was a bridge linking the Levant and Egypt, has been home to many ancient civilizations. Besides the archaeological sites mentioned above, Gaza also has the oldest port in the Middle East. The ancient port of Anthedon goes back to the Assyrian, Roman and Greek eras from 1200 B.C. to A.D. 324. It is located approximately 6 kilometers (3.7 miles) northwest of Gaza City and covers an area of about 180 dunams (167,000 square meters or 104 square miles). “This port contains ancient Roman ruins, including temples, statues, pieces of pottery, wonderful mosaics and old columns. Part of it was destroyed and cleared to establish the military training site,” Yafawi said. 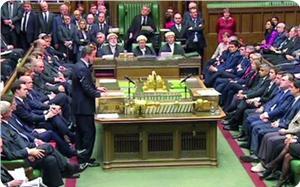 He noted that many of those interested in Gaza’s ruins and complained about these actions were arrested. The Palestinian al-Ahrar movement has condemned Palestinian Authority President Mahmoud Abbas's demand that the Egyptian authorities completely close the food tunnels between Egypt and the Gaza Strip, Memo reported. 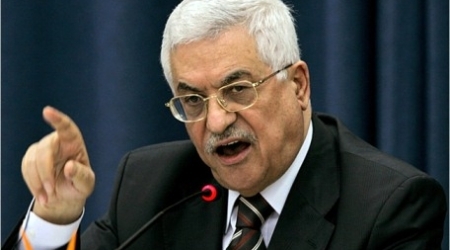 The movement accused Abbas of taking part in the plot to starve the Palestinian people in the besieged Gaza Strip. According to a statement issued by the movement on Saturday, "Abbas' demand opposes all values and discharges him of all national responsibilities as he oversteps borders by promoting the tightening of the siege that is killing the people in Gaza." The statement attributed the reason behind Abbas' demand to his efforts to force “the people in Gaza to bow down” so that “he will be able to extend his control over them more easily." It also denounced his pride in the security cooperation between "his" security forces in the West Bank and the Israeli occupation, saying that the Palestinian Authority's security services “offer a free service to the Israeli occupation”. 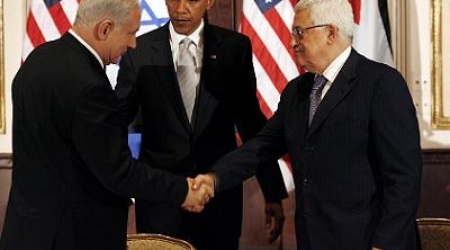 The statement added that, "this harms Palestinian interests." Meanwhile, Al-Ahrar also called on all the Palestinian factions to join together to demand that the Egyptian authorities completely open the Rafah Crossing as it is the "sole lung which brings fresh air" to the Strip's besieged residents. In his last visit to Cairo, Abbas asked the current Egyptian authorities to completely close the tunnels with Gaza and to severe diplomatic relations with its government. Dr. Yousef Rizka, the political advisor to Palestinian premier Ismail Haneyya, revealed that Haneyya would address the Palestinian people within the few coming days on a number of crucial issues. 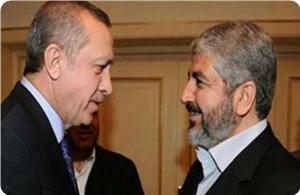 He told the PIC that Haneyya’s address would particularly target Palestinians in Gaza Strip and the West Bank. He said that Haneyya’s speech would tackle the government and Hamas’s positions regarding a number of issues, adding that the address was important as far as its timing and content are concerned. Haneyya would focus on the new Israeli attacks on the Aqsa Mosque and would spur the Arab and Muslim masses to respond to those attacks and to defend their holy site, Rizka said. The Palestinian return center based in London announced its intention to hold a symposium in the British parliament on the 96th anniversary of the Balfour declaration that falls on the second of November. The center said its symposium is part of the international campaign that demands Britain to apologize for what happened to the Palestinians. Some British politicians and lawmakers who signed the charter of the campaign as well as Palestinian officials would speak at the symposium. The international campaign to force Britain to apologize to the Palestinians started five years ago and its organizers aim to collect one million signatures by the second of November. Political analyst Abdul-Sattar Qasem hailed Khaled Mashaal, the head of Hamas's political bureau, for urging the Palestinian factions to return to armed resistance against the occupation to defend the Aqsa Mosque and restore the usurped Palestinian rights. 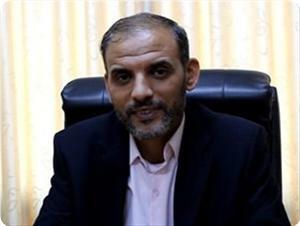 Qasem, a professor at Al-Najah university, affirmed in a press statement to Quds Press that Hamas has never abandoned its resistance and laid down its arms. "Hamas is preparing itself to confront the occupation, and the conventional forces that support the resistance are helping it in that. There are ongoing preparations to confront the occupation; therefore, the power of Hamas should not be underestimated," Qasem underlined. "Mashaal's talk about the resistance is an expression of the fact and not a claim," he stressed. Qasem ruled out the possibility that the Palestinian Authority and Fatah faction could respond to Mashaal's call for engaging in armed resistance. 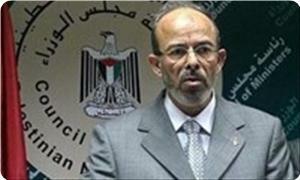 "The Palestinian Authority has implicated itself and the Palestinian people and cannot get out of this mess. The future of those in charge of the Palestinian Authority is associated with Israel and there would be no future for them if they rebelled against Israel, so their return to resistance is pure fantasy." "If Fatah wants to return to resistance, it has to get rid of its current leaders who are mostly made by the US and Israel." Qasem also expressed his belief that the national reconciliation and the security cooperation with the occupation cannot come together. "The reconciliation under the security coordination is not possible at all because the Palestinian Authority arrests Palestinians in order to protect Israel's security; therefore, it has to choose between reconciling with the Palestinian people or Israel and there are no middle choices." "Unfortunately, the Palestinian concessions are ongoing, and the negotiations reassure Israel that the Palestinian people do not want to do something to stand in its face and consequently Israel is persistent in its aggression against the Palestinian people with no regard to anyone, so the negotiations are a road to perdition." the political analyst opined. 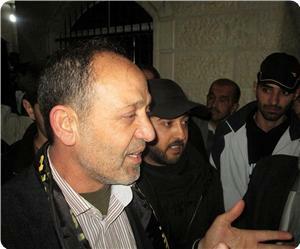 Yousef al-Arif, a leader of the Islamic Jihad movement in Palestine, died on Friday in the West Bank following a severe heart attack. Al-Arif, who was 65 years old, was a prominent leader of the Islamic Jihad movement in Nablus and in the West Bank in general. He spent almost 10 years of his life in Israeli jails. He was also a school teacher. PLO Central Committee Member, Nabeel Shaath, told PNN that the Palestinian Authority demands international observation of Israel’s investigations into the recent incidents against Israelis. 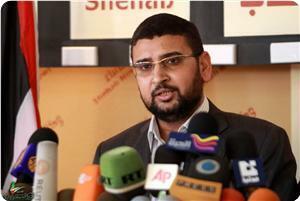 Shaath’s statement regards the Israeli media’s inconsistent reporting and fluctuating details of the attacks. Instead of raiding the city of al-Beireh and blaming the PA for the violence, Shaath suggests Israel begins collaborating with the PA regarding politics and security. Shaath noted that the Israeli media’s varying narratives of these incidents prove the necessity for international investigations and supervision of such controversial cases. He cites the example of an Israeli female settler, who according to one Israeli media source was shot and killed, according to another she was stabbed, meanwhile a third source denied the incident all together. This indicates the need for an international investigation that cooperates in revealing the truth and ensures mutual accountability. Such an investigative system would also prevent Israel from manipulating facts in order to create excuses to halt the peace negotiations. 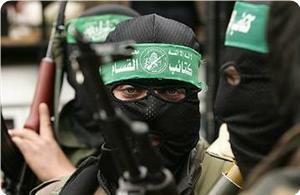 He added that Israel will likely use the attacks as a reason to evade the promised release of prisoners. Two leftist factions called Thursday on the Palestinian people to boycott municipal elections in Jerusalem, which has been occupied by Israel since 1967. The Palestinian People's Party and Popular Front for the Liberation of Palestine urged residents of the city to neither vote nor run for terms of office in the municipality, which is controlled by Israel. The PPP said in a statement that it was important to boycott the elections "for national and political reasons" because Jerusalem is an occupied city and an "essential part of the Palestinian territories." 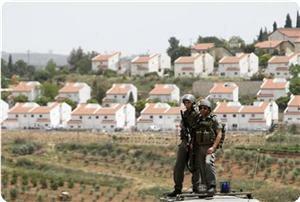 It said participating would legitimize the occupation and settlements. The PFLP, meanwhile, also urged a boycott of the elections, which the faction described as aimed at changing Jerusalem's identity to reflect Jewish rather than Arab heritage. Senior Hamas leader Husam Badran said that the justifications and motives of the resistance in the West Bank are increasing day after day. Badran urged in statements to Quds Press on Wednesday all factions to move at this stage and confront the occupation Judaization schemes and the settlement activities, stressing that "it is a national and religious duty." He hailed and supported the call by head of Hamas's political bureau for escalating the resistance against the occupation in defense of Jerusalem and Al-Aqsa Mosque, and for holding a national meeting to put a strategy to defend Jerusalem. Regarding the role of the Palestinian Authority in the West Bank, Badran explained: "I do not think the authority, with its current composition and its strategic policy, will be involved in any move of this kind; but it will confront it considering it a threat to its project." Concerning the Arab official position, the Hamas leader pointed out that the Palestinian people and the Hamas movement did not rely much on that position during the conflict with the occupation, because "it is governed by several internal and external factors." He said the "influential and active" states are not sufficiently supporting the occupied city of Jerusalem and Al-Aqsa Mosque; "they are not affecting the enemy and have not deterred it from its schemes that aim to Judaize Jerusalem and divide the Aqsa." "Some Arab regimes are absolutely supporting the process of negotiations with the occupation, and are ready to give cover to the Palestinian negotiator." "Yet we are convinced that the Arab peoples, despite their difficult conditions are able to change the equation if they start moving seriously in support of the issue of Jerusalem and in defense of the Aqsa Mosque," Badran added. Hamas spokesman Dr. Sami Abu Zuhri strongly criticized the "language of arrogance" that a number of Fatah leaders are still using while talking about their relationship with Hamas. Abu Zuhri expressed in remarks to Quds Press Agency his rejection of the language used by the two members of the Central Committee of Fatah Sakhr Bsaisu and Azzam al-Ahmad in remarks on Wednesday to Al-Hayat newspaper. 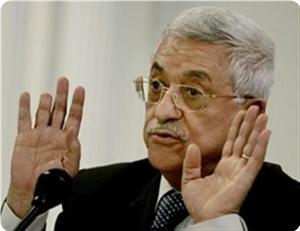 Bsaisu said "the president (Abbas) will not go to Gaza unless it recovers its legitimacy (...) and unites with the homeland," while Al-Ahmad stressed that Abbas received several verbal messages from Haneyya through intermediaries, "but he told them he refuses the phone calls and verbal messages, and wants to receive written message from Haneyya to tell him what he wants. " 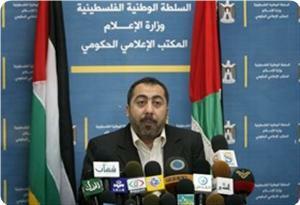 Abu Zuhri said: "the language used by Bsaisu and Azzam al-Ahmad in their statements is unacceptable. 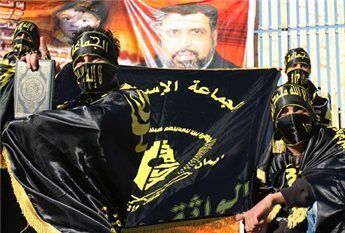 It reflects the reality of Fatah movement and proves that Fatah is still imagining it can overthrow Hamas." 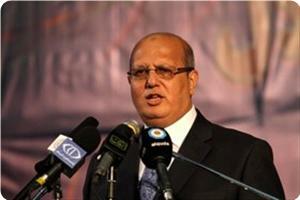 He added that the words used by Bsaisu means that Fatah is not interested in the reconciliation. The Hamas spokesman stressed that his movement won the elections, that enabled it to form a government in the West Bank and Gaza Strip, and that Fatah is the one which went against the people’s free choice in the West Bank. The Gaza Government’s media adviser, Tahe al-Nunu called on Fatah to stop its language of arrogance in light of the regional events by resorting to a narrow partisan discourse reeking of hatred. He called on Fatah to read the political scene with a patriotic sense and to stop protecting the occupation on the political, media and security levels by providing it with cover for its crimes against the Palestinian people. He criticised the movement for its campaigns in the West Bank against the resistance to the extent holding joint campaigns with occupation forces against the residents of the West Bank who want to protect their land from confiscation and Judaization. He called on Fatah to get back to the national project and to side with our people’s causes by withdrawing from the futile negotiations, halting all forms of security coordination with the occupation and ending its campaigns against the resistance. Heated arguments erupted between Palestinian and Israeli delegations in meetings during the 129th summit of the Inter-Parliamentary Union in Geneva, speaker of Fatah-affiliated lawmakers official Azzam al-Ahmad said Wednesday. Al-Ahmad told a local Palestinian radio station Wednesday that the Israeli delegation exploded with anger when the Palestinian and the Moroccan delegations suggested including the issues of Jerusalem and settlement activities on a meeting agenda. He added that the speaker of the Israeli delegation started to shout and interrupted speakers in a way that angered international and European delegations. He said that President Mahmoud Abbas “agreed to resume peace negotiations while settlement activities were ongoing,” added al-Ahmad. The Israeli delegation eventually withdrew from the meeting. Al-Ahmad added that heated arguments broke out as well during meetings of the Middle East Committee of the IPU between the Israeli and the Venezuelan delegations, which ended with withdrawal of the Israeli delegation. The occupation authorities forced a Jerusalemite of Mughrabi family to replace his ID card with a biometric one, even though the new identification system is still optional. The Haaretz newspaper said the Palestinian citizen went to so-called Office of the Population and Immigration Authority to validate his ID card, but the officer refused and replaced it with a biometric one. Project coordinator at the Jerusalem Center for Legal Aid and Human Rights Ghalib Nashashibi told local media that "The biometric card is to be optional for two years; the occupation authorities are not entitled to force citizens to replace their ID cards with biometric,"
Nashashibi explained that a biometric card shows basic personal information, as it takes his fingerprint," pointing out that "it's set to be imposed only after two years from now,"
Nashashibi added that the biometric card is designed to be revocable and only renewable upon confirming that a citizen is a permanent resident of Jerusalem. He confirmed that the occupation authorities actually enforced this system, as Jerusalemites' IDs card expire after 10 years, and that a citizen has to renew his by providing unequivocal proof of his permanent residency in the city. "The rising house prices in occupied Jerusalem and the overpopulation witnessed in the city are of the most important obstacles facing Palestinian Jerusalemites when searching for a house,"
According to an earlier report of Haaretz, the biometric database is a computerized compilation of data, collecting and centralizing fingerprints and facial features of all citizens of (Israel), as part of a process of issuing new ‘smart’ identification documents. In the meantime, the biometric system has been running under trial for two years as from two months. During the trial run, people wanting to renew their I.D. or a passport have the choice of opting out whether they want a biometric document, the newspaper added. It claims that the advantage of this system is to facilitate pre-flight processing at many airports around the world. The Association for Civil Rights opposed the initiative, saying that its purpose is to compile a huge police database. They argue that the centralized biometric database is not essential for producing ‘smart’ or biometric documents. The project, according to them, is an infringement on privacy, and leaked data could cause irreversible damage. 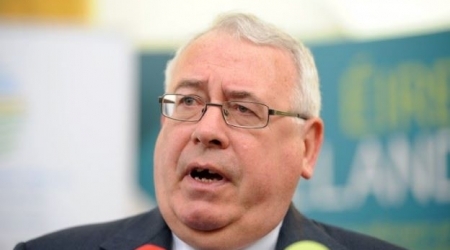 Irish Minister for Development and Trade Joe Costello arrived Wednesday morning in the Gaza Strip through Israel-controlled Erez crossing in a visit to last for hours. Irish Government News Service issued a press release on October 8 that said "Minister for Trade and Development Joe Costello TD will make a fact-finding visit to Gaza tomorrow, Wednesday 9 October, to see the situation on the ground and the humanitarian impact of the Israeli blockade on the people of Gaza,"
According to the Irish official source, the minister "will meet relief agencies who are working to provide emergency food supplies to Palestinian refugees in Gaza, including the United Nations Relief and Works Agency (UNRWA), who provide food assistance to more than 800,000 refugees in Gaza,"
Minister Costello will visit the Nuseirat Distribution Centre, where he will see the impact of Ireland’s support to UNRWA. He will also visit the Palestinian Centre for Human Rights, added the release. Mr. Costello held meetings Tuesday with the Abbas-backed government prime minister Rami Hamdallah, detainees minister, Issa Qaraqe, the chief Palestinian negotiator Dr Saeb Erekat and the minister for foreign affairs, Riyad al-Maliki. The leader in Jihad movement in Jenin Sheikh Mahmoud al-Saadi said that what is happening in Jenin Refugee Camp is an explicit targeting of resistance, holding the PA fully responsible for the consequences and responsibilities of its actions. Regarding the PA forces' recent raids against martyrs and prisoners' houses in Jenin, al-Saadi pointed out to the PA's scheme to undermine resistance in Jenin camp and to fully liquidate this phenomenon in favor of the occupation. There is big difference between lawlessness and resistance, he said, stressing that those responsible for lawlessness have no relation with resistance. The leader in Jihad movement stated that the PA has no strategy to confront the occupation, saying that his movement has suggested more than once either to support or to condone resistance elements as a response to the Israeli settlers' escalated attacks and settlement expansion. He pointed out that jihad movement has called for a unified strategy for resistance, but the PA only believes in negotiations and not interested in any form of resistance. Al-Saadi stressed that Jihad movement is not involved in confronting PA security forces who only implement orders to raid the camp, holding the Governor of the Jenin Province, Talal Dweikat, responsible for the tensions in the refugee camp. He strongly condemned the PA forces' raid into the camp, noting that three Palestinians were martyred during last month by Israeli fire amid full absence of PA forces. Jenin refugee camp is daily subjected to Israeli arrest and raid campaigns while PA force has never intervened to put an end to the Israeli attacks, he noted. Al-Saadi asserted that what is happening today in Jenin refugee camp came as a result of security coordination, considering it an explicit targeting of resistance. The leader in Jihad movement of al-Saadi stressed that the resistance factions in the Jenin refugee camp agreed not to confront PA security elements despite all the continued provocations. The Hamas Movement called on the Palestinian authority (PA) to stop its negotiations and security cooperation with the Israeli occupation and give the Palestinian resistance a free hand to defend its people and respond to the Israeli crimes. 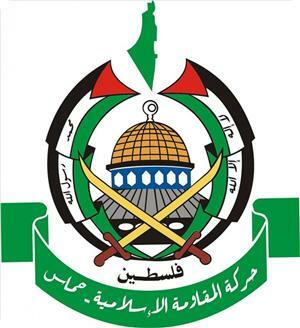 Hamas made its remarks in reaction to the blasphemous and racist slurs that were written recently by Jewish settlers on the walls of a Mosque in Beit Iksa village to the northwest of Jerusalem, and the intended desecration of the Aqsa Mosque next Thursday. "We strongly condemn the rampage crimes which have been committed by the Zionist settlers against our holy sites under the protection and with the complicity of the occupation," Hamas underscored. It considered that the Jews' repeated attempts to desecrate the sanctity of the Aqsa Mosque would not get them a foothold in the Aqsa Mosque. The Movement called on the Palestinian people in the occupied territories to stand in the face of the occupation and its settlers and defend their holy sites by all means. 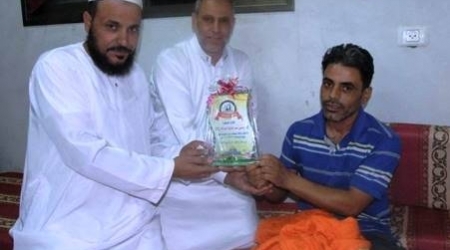 Hamas, the Islamic Resistance Movement, honored Helmi Abu Dalal for saving the life of a girl from Al-Nuseirt Camp when fire broke out in her house last week. He was granted “the badge of courage” for his great work in the presence of Hamas leader Yousuf Farahat, Mohammad Abu Shkian, Mayor of Nuseirat , and a number of notable figures. “My cousin asked the girl to throw herself and he will pick her.” He indicated. “Helmi picked up the girl safely but he sustained fractures in his leg and cuts in his veins,” he added. Yousuf Farahat praised Abu Dalal’s brave and noble attitude in saving the girl before the flames devoured her.